Now, I should admit that I’m already heavily against certain kinds of plots. Meta plots that specifically attack the player, or that play with the genre with a generally downbeat or negative ending are plots that I don’t enjoy. I’m much the same way with classic literature, movies, etc. While the plot may be interesting for a critic, it is not a plot that I want to experience. I think there’s a fundamental problem with telling a literary plot in a game. By literary, I mean a plot that is more than a basic “this is why you are doing this gameplay” style plot. Literary plots will aim for themes, might comment on larger issues than the game universe, have gameplay that tries to force the player to make choices about these issues, and often aim to be a “deep” plot. A “literary” plot might be called artsy or edgy, depending on presentation and themes. A game that limits your gameplay to make a point should limit it in a way that makes it fun. Megaman Battle Network 3 has you limited to a 10 HP at best weapon and 80 HP enemies at one point. Yes, it’s thematically powerful that you are stuck with this weaker weapon. On the other hand, it’s deeply unfun to play the section of the game, and the thematic impact is pointless on the player. Obviously the player knows that the stronger weapons are better since they’re just about the only weapons you usually use. After a few exciting battles grappling with the lowered damage output, the battle patterns began to repeat and it becomes a long and slow slog through that section of the game. After several hours of these kinds of battles and drawing maps on the lower screen, Etrian Oddyssey has you meet a sentient race. 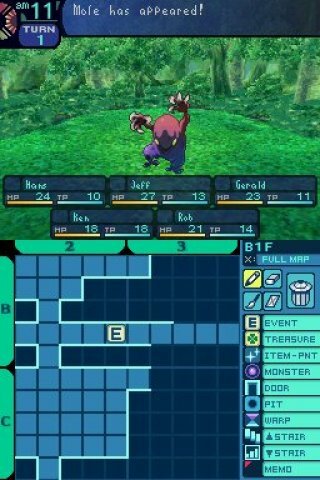 In Etrian Odyssey, a major theme of the games is that your exploration is fundamentally a damaging and terrible thing to do. This is a slow grindy game with small rewards as you explore. Mostly, you’re doing typical RPG style good deeds. You find healing items. You help weapon development. You map areas. Intermixed with this is genocide, slaughtered soldiers, and a fairly pointless murder of some fellow adventurers. Since you have several hours between these horrible elements, the game basically feels like a toddler kicking your shin for having fun. 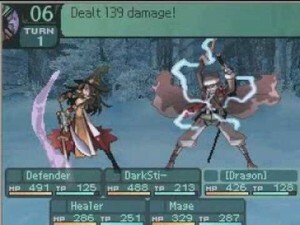 In the second game, this player is confronting some human antagonists. If Etrian Odyssey had you constantly choosing how bad of an explorer you were, it would be more effective. If it had a “cheerful” option to explore, it would be more effective. If it was faster to get to the “turn off or press forward,” then it would feel less like a betrayal. As it is, it is a game that allows you to play whatever kind of person you want, but if you want to play more of the game, you must bow to the plot. This, I think, is a serious problem with the player and the game. I think a good term would be a breach of social contract. When you play a long game, there is a sort of social contract between the player and the game. What is this contract? I think the first one is “don’t waste my time.” A game may be slow paced, or have less optimal choices, but many gamers will rage about ill-informed choices. If the game isn’t good for ten hours, then people will complain that the game is wasting their time. I think a second one would be “reward my time.” A game may give you cinemas or more complex gameplay or encouragement. I think a third one would be “tedium wastes my time.” Repetitive elements, time wasting elements, and even small loading times can add up. Small fustrations can become massive. Working off of those three, an obvious one is “explain what you want.” Puzzles should have adequate hints, and there should be some guidance if you get lost. I think a good final element of most game player’s contract is “give me options.” Linear routes can be ignored if you have character choices. A limited party can be ignored with a neat world to explore. Complex character growth options can overshadow a boring plot. This is a FOE in Etrian Odyssey III. They basically act like wandering mini-boss encounters in the maze. A lot of this focuses on gameplay. Wasting time, tutorials, options are mostly utterly divorced from the plot. This is why I think that that a literary story is fundamentally a problem in a great game. If you spend all your time on the plot, and you ignore the gameplay, or you design the gameplay to solely help the story, then people do not find the gameplay good enough to see the plot. If you break a social contract with your players, the players will not have as many things to enjoy in a game. If they’re not enjoying the gameplay, then they won’t pay attention to the story. If the story is the point of the game, then the gameplay must, at the very least, not hinder enjoyment of the game. If the gameplay is hampered by the story, then the story better make it worth it to be so hampered. So, let me focus on Etrian Odyssey in particular. This game has minimal story elements, but the story itself, for me, is a good example of a plot that does not help the game. In fact, most of my complaints about the game are solely centered on the plot. The game itself is a basic Wizardry clone. 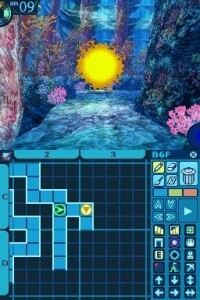 You use a touch screen to hand map out the maze in a 3D cooridoor style dungeon. Some areas have gimmicks like secret passages, teleporters, and moving floors. The difficulty level is pretty high, but on the other hand that encourages thoughtful exploration. You cannot ignore the monsters wandering around the map. Instead, you must pick and choose your battles intelligently. The plot is trying to say some interesting things. The species that is slaughtered uses names (in the Japanese version) like the Ainu gods and culture. For a Japanese player, commentary on the treatment of the Ainu in Japan probably is a lot more biting. In the English translation, the slaughtered people are still clearly sentient and protesting your encroachment on their land. As you progress, people complain about you stopping tourism to the area (since an easy path through the entire labyrinth would make it less exciting,) and forces gather to try to stop your exploration. The final conflict in the game involves confronting an enemy who has a project that has fairly good intentions. You kill the enemy, but you also stop the project. This may sound like a complex and possibly interesting look at colonization, oppression, and the politics of tourism and cultural appropriation. However, mostly, the game drops a problem and you are left with the choice of picking an unpleasant choice, or not playing the game. There is no way to negotiate, plead your case, or avoid violence. Since it takes a long time to get to each of these moments, the plot suffers. If you’re playing the game for these dark genre bending story elements, you have hours and hours of gameplay (without these elements) to get through. If you are playing the game because you like the vast majority of the gameplay, then the plot can be a unpleasant and nasty surprise. If the point of the plot is to surprise you, then the random cruelty of it means that it may be disliked. Now, you can say that you can ignore the plot if you don’t like it, but that’s actually even worse. How is it a good thematically powerful plot if the advice is “ignore it if you prefer the gameplay”? If you are rewarded in the game for clever exploration, why have the plot punish you for wanting to explore? Isn’t that basically telling the player that you shouldn’t play the game? In the case of Etrian Odyssey, the game offers a polished retro style of dungeon crawl. It also offers a fairly anti-player plot that mostly implies that the player is a terrible person for exploring. If the plot was more plentiful, so you dealt with these themes more often, then it would force the theme more heavily. Instead, the game has an interesting plot spread too thinly over hours of game that encourages exactly the behavior that the plot decries. 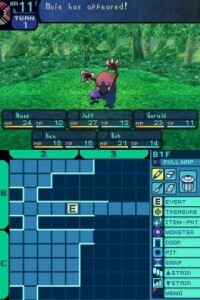 I enjoy the gameplay in Etrian Odyssey, and I think the plot is interesting. However, the execution of the plot (pick a terrible thing, or don’t play the game,) in the gameplay is incredibly irritating. It doesn’t make me think about the horrible things going on in the game. Instead, it annoys me that the game is so stupid and that the game expects me to play 15 hours to see the stupidity. That’s that social contract thing. The game is not explaining things to me by saying that by the way, your characters are terrible people. The game is wasting my time by forcing the player to engage in a pointless slaughter or fight. The game isn’t rewarding my time. 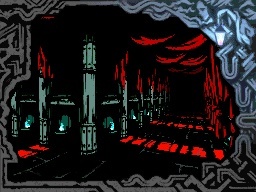 The repetitive nature of the game is tolerable if the rewards are sufficient, but it becomes tedium when the choices are “get strong enough to kill these adventurers or die.” When you finally get to the end game, and various things are revealed, you also basically find out that there is one, and only one, easy way to defeat the boss. If you don’t have a character ready to do that, then you will have to find the 7 round pattern for the boss (no explanation,) re-spec a character (wasting my time,) re-level the character (tedium), and do all of it to get a depressing ending. Is it any wonder that I say that a good story isn’t necessarily a good game?